Looking for a piano tuner? Jonathan Parise was trained in the family craft by his father Michele Parise a highly respected Piano tuner-technician, craftsman, musician and owner of the Parise Pianoforti Shop in Prato Italy. Jonathan worked in the family business late into his twenties, deciding to make a huge change in his life he then moved to Australia in 2003 to live with his wife in the coastal town of Inverloch. While working with his father, Jonathan also gained knowledge of the trade from various other local technicians and also extensive training with building and repairing of other string instruments such as guitars and violins. 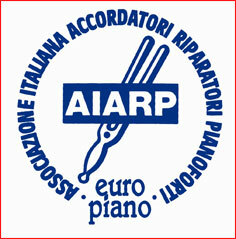 He achieved national accreditation by passing the piano tuners exam with high distinction for aural tuning and piano action regulating and repair with AIARP (Italian Association of piano tuners and technicians) and is recognised by Europiano. Regulation of the piano action is the adjusting of the mechanical parts (engine) of the instrument. A perfectly regulated action makes the piano play and respond better to the players touch. Although remarkably durable, pianos are subject to deterioration with time and use. Felt wears, strings break, wooden structures weaken and crack, and the exterior finish loses its beauty.